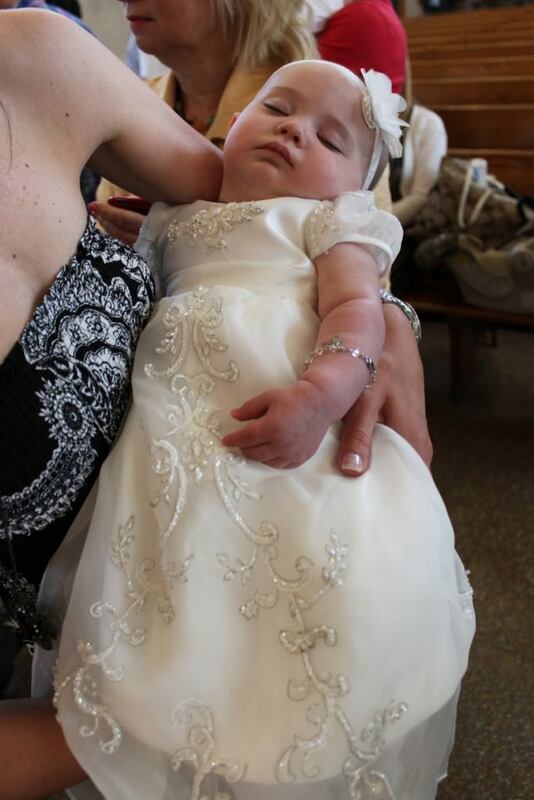 For years, Janice Martin has restored and cleaned Christening gowns. 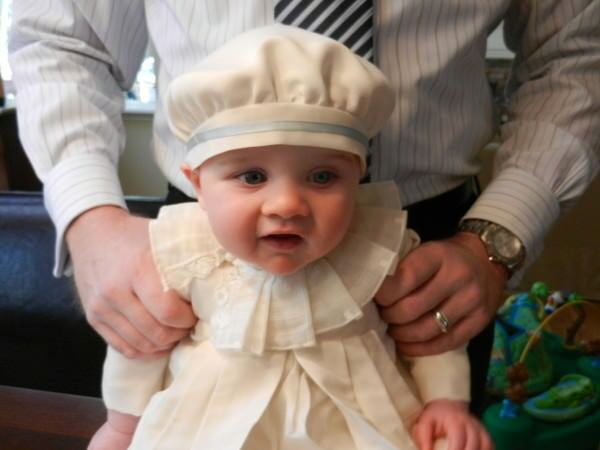 More recently, clients have requested Christening & Communion gowns to be constructed from vintage fabrics or from family wedding gowns. 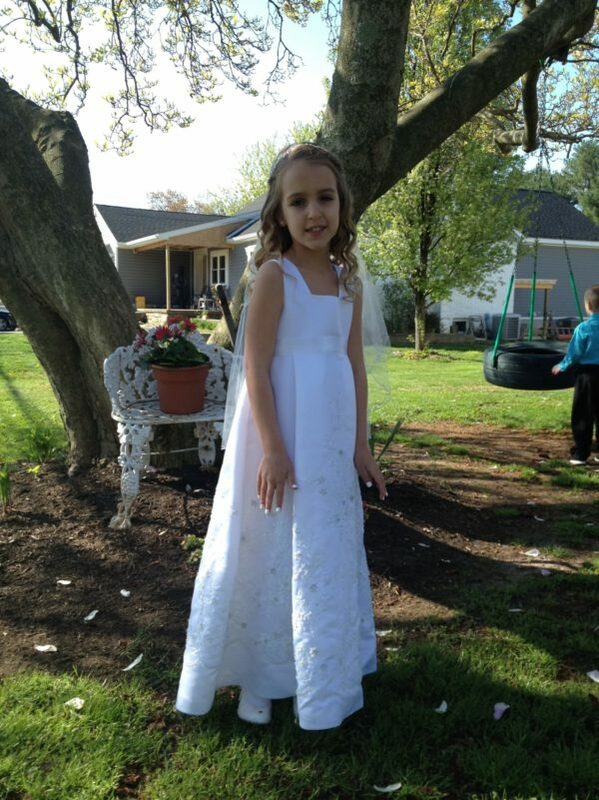 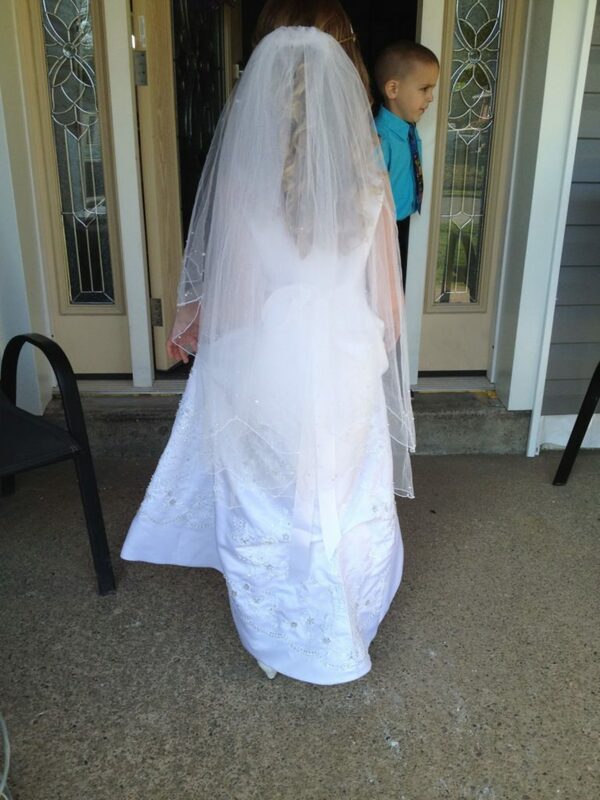 What better use of your wedding gown than for it to transformed into your child’s Christening or Communion gown! 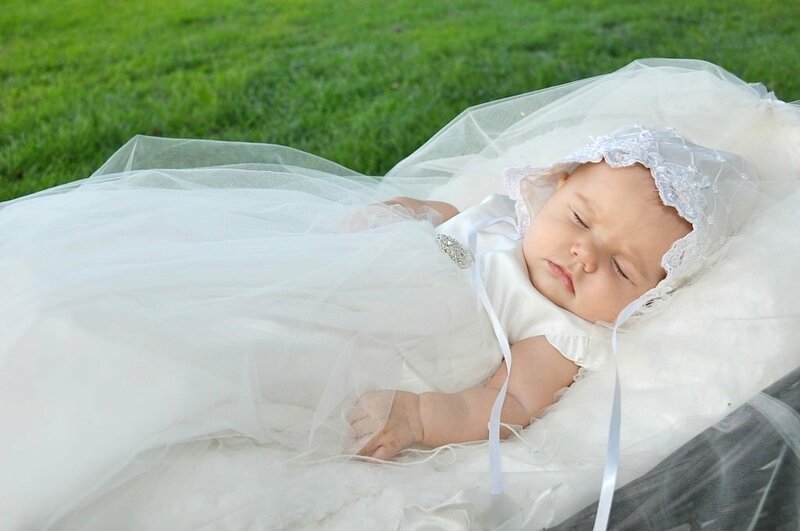 Janice has created his and hers Christening gowns for a set of twins utilizing their mother’s original wedding gown—allowing the original detailing to shine through on the new Christening gowns. 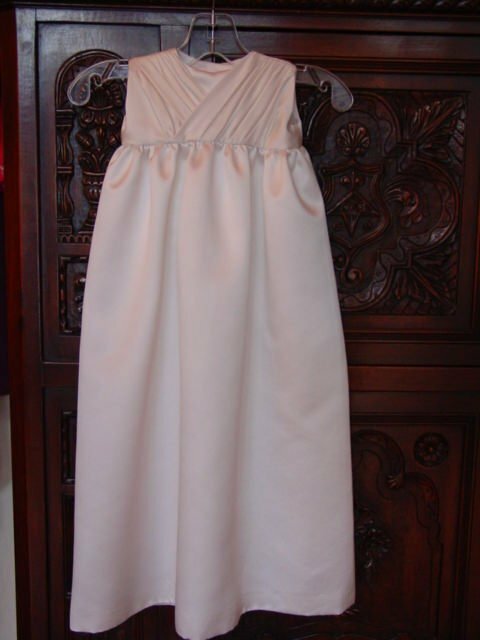 Janice Martin can accommodate a range of gown types and sizes including suits and gowns for premies or older babies. 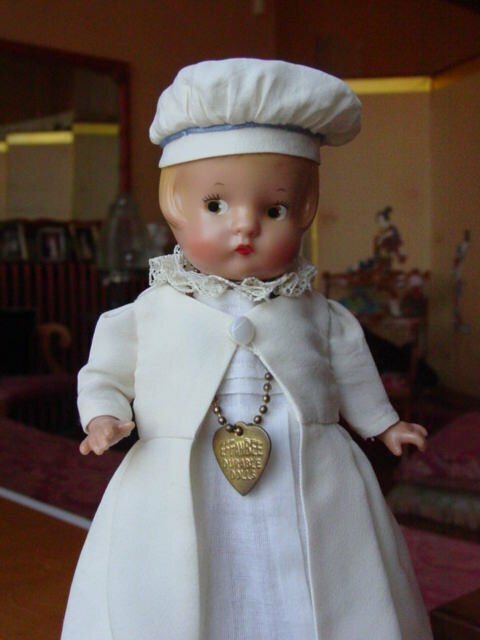 Several clients have requested miniature copies of a bridal or Christening gown for a doll. 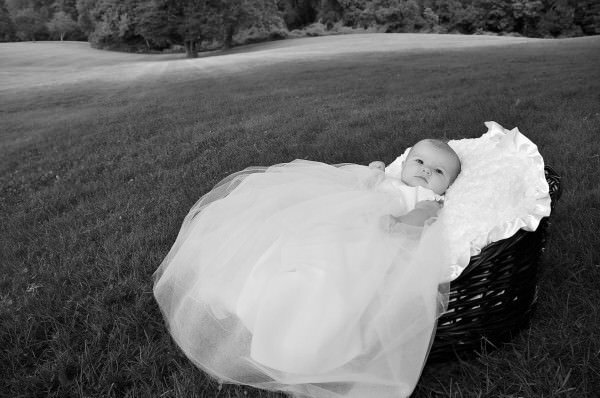 A Christening gown can be designed via photograph and three measurements for a proper fit, allowing Janice to work with clients across the country. 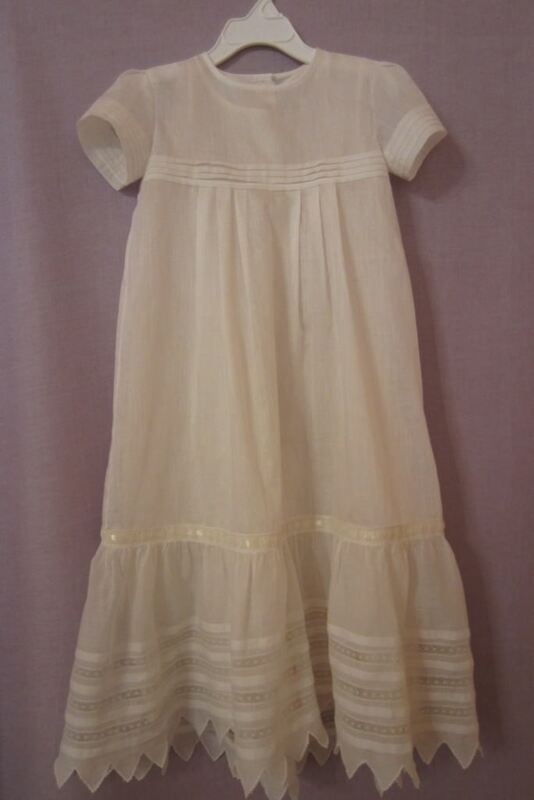 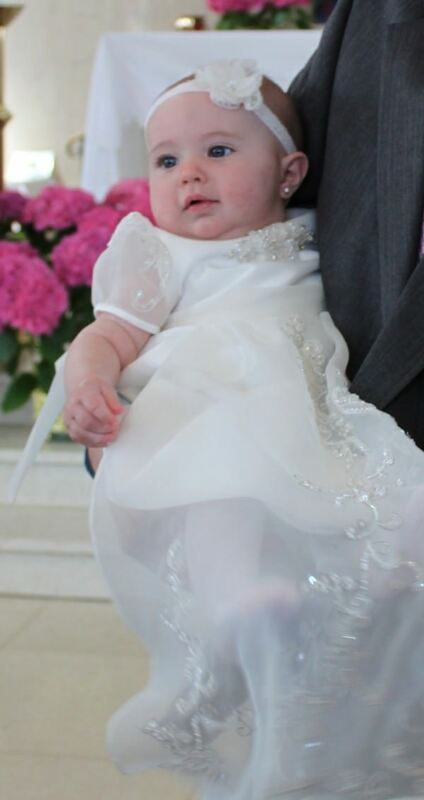 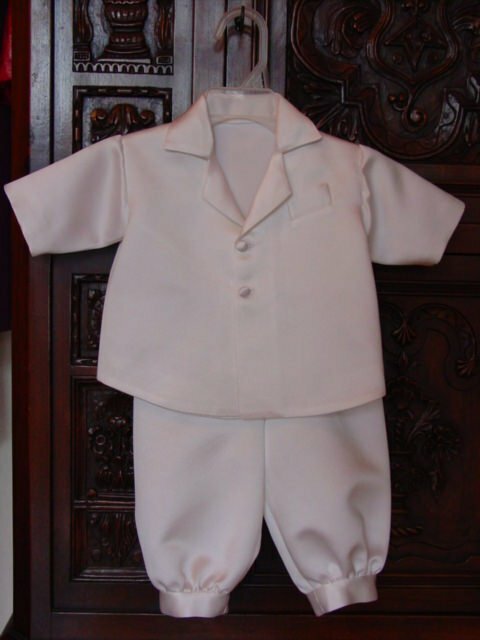 Christening gown sets, like the one shown below, can include hats, jackets and removable collars. Whether created from new or heirloom fabrics, Christening and Communion gowns are cherished possessions like wedding dresses. 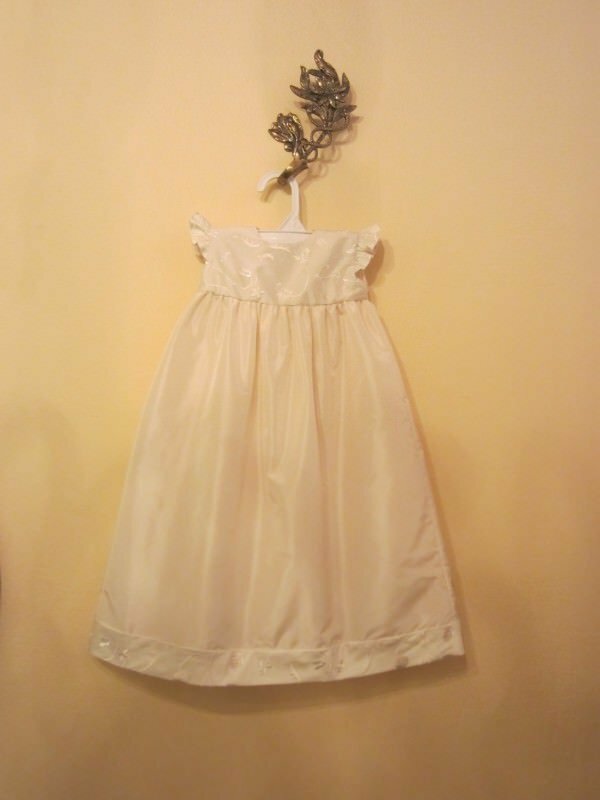 New fabrics have been dyed to match and used in tandem with antique textiles to create wonderful new family heirlooms. 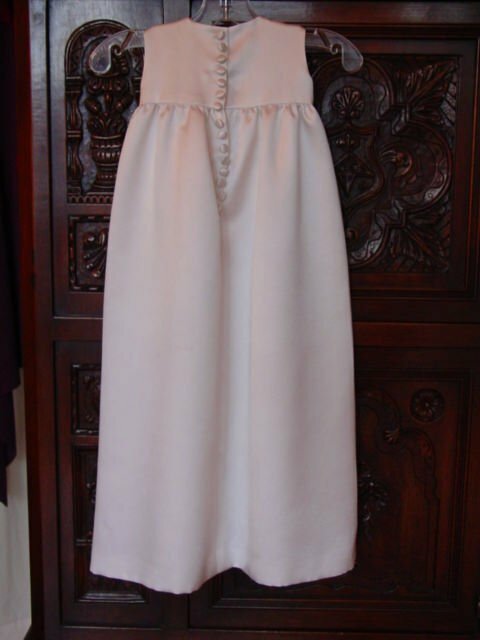 Janice Martin Couture has created Christening or Communion gowns and suits in a range of fabrics including swiss cotton batiste to contemporary silks.